two falling stars in the day sky. the rain had a nagging quality about it. and it had been going on for almost two days. wetness clung to surfaces; everything was soggy, damp; shoes brought home squelching mud and hp was tired of cleaning the entrance of raizada mansion, the sparkling marble in the hallway needed to be mopped again and again. op, of course, seeing this had busied himself with helping the cook, a self important air clung to him, like that wetness. “op!” at the strident call, he jumped out of his skin and then came running. chhotey saab was back from office and clearly not in a good mood. “mohan se bag lo, aur ek black coffee jaldi,” as he commanded op to get the bag from his driver and bring a coffee quickly, his voice was terse, clipped. a grimace on his face. he didn’t like the rain. its chill, its damp, its clinginess. a bland insistent shower, neither a pleasant drizzle nor a torrential downpour. like a soul in purgatory, just hanging in between somewhere, a desolate air howling through it. the rain soaked through to places kept hidden, locked away deep inside. suddenly he was running down a corridor as though chased by a thousand ghosts. even before he’d reach his destination, he knew it would happen again. that sound. that sound… short, sharp. loud. how it rang out. were chacha ji and pita ji shooting clay pigeons in the middle of the wedding? he had no idea then that was the sound of a revolver going off. a bullet zipping out and puncturing the skin of a person, blood spattering. his eyes shut tight, a sharp indrawn breath that he couldn’t control. again the sound. it always happened twice. why couldn’t he ever stop it? asr flopped down on the recliner by the french window, his head ached so. he felt the pain shudder through him. he didn’t want to think. he didn’t like to brood. there was no point. there was work instead. to do, to drown in. arnav singh raizada would not give in. focus. he thought. autumn winter line. “chhotey saab, coffee?” op had materialised silently. without a word, arnav took the mug, and let the hot liquid touch his lips. ah, the sting of it. thoughts still in disarray, he began to take off his tie with a tired hand while staring at the pool. raindrops fell on the surface. dipping, splashing, making little circles. it had been raining like this even then, the skies were still heavy with clouds on that night of the wedding. sheesh mahal so brightly lit. and di… his breath was getting ragged again. “chhotey!” di’s voice sounded so happy, he glanced around to see her at the doorway, all dressed up, looking radiant. “di!” he always felt a tug at his heart when he saw his fragile elder sister with that brilliant smile on her face. in fact, if not for her, would he even be aware of his heart? hearts that are such inefficient fragile things. they get played with, they are broken, they get destroyed. they are betrayed. “haan, di?” though he tried his best not to show it, the tenderness managed to slip out somehow. anjali grinned. she was so happy this evening, but chhotey? why was he looking so tired? “chhotey? are you okay? tum theek ho?” she walked over to check his forehead, “bukhar toh nahin?” always a little more worried than she need be about her younger brother. “haan woh…” anjali’s smile wouldn’t be reined in. “jija ji wapas aa gaye kya?” asr said with a slightly wicked grin; his sister was crazy about her husband and it pleased asr no end to see the two of them in this state of utter and abject mushy love. something in him felt a little better about the world. well, if not the world, at least it seemed worthwhile doing all that he did. di’s happiness. that was all that really mattered. “try not to make him go crazy with your long list of demands now, di. poor jija ji… i can see you mean to give him a hard time,” he could never resist teasing his sister. “but di, the man has to work, doesn’t he? or just be his joroo’s ghulam?” he took off his tie as he spoke and picked up his change laid out on the bed. his headache was getting worse and he didn’t want to di to get hassled. “see you later,” he said hastily as he escaped her keen gaze and hurried into the dressing area. it was a beautifully but simply designed walk in wardrobe paneled in swedish pinewood, with a couple of full length mirrors on two walls, a chair next to the shoe rack, and an old dumb valet that used to belong to his nana ji to one side. rosewood curlicues adorned the otherwise functional piece of furniture, age had brought a comforting patina to the wood. it was the only piece of childhood he allowed is his contemporary and spare setting. otherwise lines were always clean, colours restricted to grey, beige, white, black, cement green, minimum artifacts, nothing on the walls. apart from a faceless mural that di had insisted on. something to soften the edge. his room abutted an open courtyard with a lap pool and his little garden. 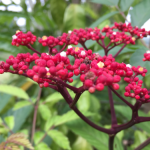 when he came out refreshed, the rain had stalled somewhat, he walked out and stood by his plants for a few minutes. when would the headache go. he sat in his office just taking it all in. it had been a long while away and he’d missed all this. his room was exactly the way he’d left it. neat, clean, sleek, his jet black desk in order. the carmine carpet added a sense of drama to an otherwise black and white space. through the french windows that lined the wall overlooking the lower floor, he could see ar going about a normal day. and it looked like a very active and busy day in a thriving fashion and luxury conglomerate. he breathed in deeply. oh, he had missed ar. it was a joy to see this really. he suddenly recalled, how it had all started with an idea, a longing, and a little bit of money, most of which came from his mami ji willingly selling off her jewellery to give him a chance at his dream. never judge a mami by her hello hi bye bye, he laughed to himself. “aap bade khush lag rahe hain,” you’re looking very happy, said khushi. he looked toward the door startled and she was there in a fetching pink and cream churidar kameez, hair open, tiffin carrier in hand. “liar!” he cut in, he’d walked up to her by then and was standing right in front, “you couldn’t stay away from me… say… tell me the truth,” he stood there looking down at her, head at a rakish angle, eyes hooded, a lopsided smile out to mess with her heart beat. she tried to look into his eyes and hold his gaze. her fingers grew tighter on the tiffin carrier handle. her lips started to tremble, an involuntary frenzy, she swallowed. “n…na..nahiin toh…” her gaze faltered, she had to look away. 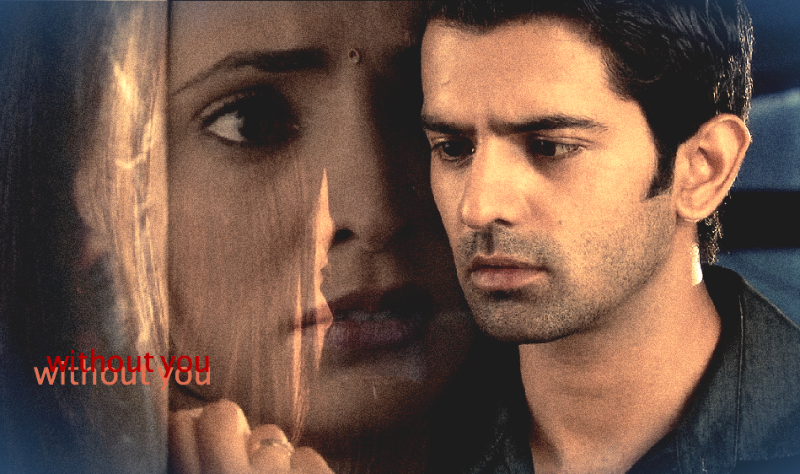 “n..nnahin kya, khushi?” he came a step closer, barely any distance between them now. “haa-an tum, tum kya?” he took the tiffin carrier heavy with food from her unresisting hands and set it on the desk, then with a tug pulled her to him. “s…sab log…” she was whimpering, her voice just not in her control. he looked at her, chocolate eyes with a touch of liqueur, and said under his breath, “lagi shart?” want to bet? “tell me, khushi,” he murmured close to her ear, his breath hot and ticklish on her ears, her nape, “can you stay away from…me?” the “me” was spoken right into her ear, softly, with that grain, that graze in his voice. she felt her stomach churn, her breathing went funny. she nodded. yes, she could, she had to believe she could. she couldn’t give in. he had banked on her doing precisely that. she didn’t see the hint of a smile that played on his lips before he leaned close again and kissed her, quiet and long, on the cheek. just where her cheek bone curved toward her temple. as he drew away she felt the warmth of his lips on her skin and heard the sound of his kiss. he got busy looking at his computer, planning the next few months, which he felt would be crucial in many ways. a little “uff” alerted him to the presence of someone else in the room. he looked up ready to snap. he wanted peace and quiet. the first thing he saw was a huge stack of files piled high, grasped by long slim arms, the face of the person hidden behind the papers. and the next thing he saw were maroon pompoms. in his office? the strangest of sensations swept through him. in the meantime, the owner of the pompoms had deposited the files at the edge of his desk, and had turned away looking at the room, talking to herself. muttering to herself she turned around and bumped into something hard. “what are you doing here?” he said through gritted teeth. right in her path he stood. her eyes rounded in horror. she’d know that voice anywhere. but here in delhi? she looked up shocked. what was this terrible man doing here? was he following…? “are you following me?” he said teeth still clenched. khushi was not going to take this any more, plus, what business did he have being here? in asr’s room? he winced at the kaybin. but before he could say a thing, she snapped. 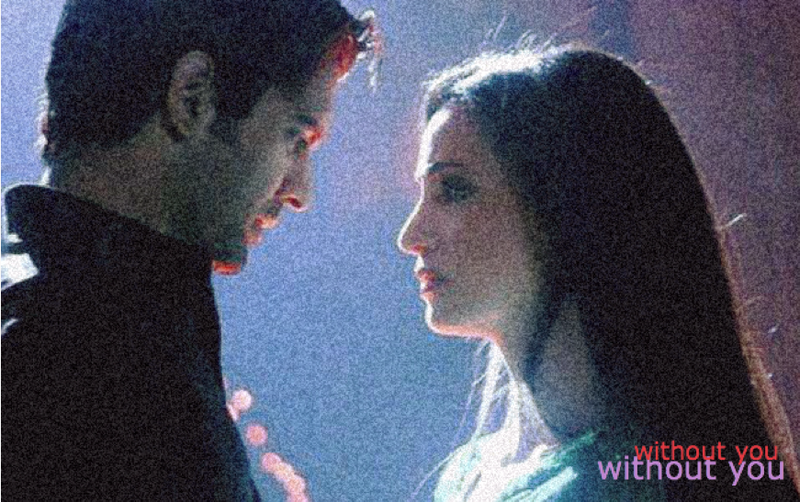 “toh kya, bade aaye, ” she made a face, “arnav… singh… raizada, hume koi faraq nahin…” around the dismissive “nahin” it hit her. he gave her a grim smile. the girl from sheesh mahal was standing in his office with confidential files. who had committed such a blunder? and bua ji was so charmed by the stranger she’d offered him paying guest accommodation at her home, right there in the train. it wasn’t shyam ji’s fault though she’d misplaced her appointment letter and come to meet lavanya ji as directed by the people at the other ar office. wasn’t his fault too, that lavanya ji was unhappy with the girl she’d just hired as her assistant and fired within minutes, then offered khushi the job, in fact bulldozed her into taking it, saying this job or nothing else. not shyam ji’s fault. just that… her eyes started to fill with tears. he saw her tears form, come to the edge of the lid, and topple over, sliding down her cheeks. the strangest of feelings overcame him. he couldn’t let her cry. he couldn’t bear the sight of her tears. why, he had no idea. just that he couldn’t. he picked up a box of tissues and held it out silently. she took the whole box without looking and walked out of the room, down the steps, as she wiped her tears. “lavanya, come right up” he barked into the phone. his head was throbbing with pain. khushi had just left the office when his phone rang. when khushi reached home, she found doctor verma having tea with di and payal. “doctor saab, aap? how nice, you know, your patient didn’t listen to anyone and has gone to work today…” she smiled brightly. she had plans for doc, if only he knew. “baithiye, doctor saab, aur aap hume kab khushi kehkar bulaynge, aur di ko anjali, aur jiji ko payal… itne saare miss aur mrs raizada…” she giggled. anjali thought he had a rather nice voice and smile. “and how is my patient today, khushi ji?” vijay verma asked. “and did he eat his lunch?” anjali asked at the same time. they both looked at each other and started laughing. a little embarrassed. they didn’t see khushi blushing. lunch?!! she clasped her hands and looked heavenward for a quick chat with her devi maiyya. payal had not seen khushi looking quite like that in a long time, it was good to see her little madcap sister in her sanka mode.